Canada Landlord & Tenant. 100% Guarantee. Can be used by both landlords and tenants in Canada when renting a property to acknowledge, authorize and guarantee . Authorization to Make Alterations Kit (Canada) Various authorizations to make alterations to rental property. Guarantee of Lease (Canada) Guarantee of lessee's obligations under a lease agreement. Landlord's Undertaking with Tenant's Lender (Canada) Agreement between a landlord and tenant's lender by which the landlord agrees to notify the lender of tenant's default. Non-Disturbance Agreement Non-Disturbance Agreement between tenant and premises mortgage holder. Non-Disturbance Agreement (Canada) Non-Disturbance Agreement between tenant and premises mortgage holder. Offer to Lease - Commercial (Canada) Official offer from a perspective tenant to the landlord/owner of a commercial property. 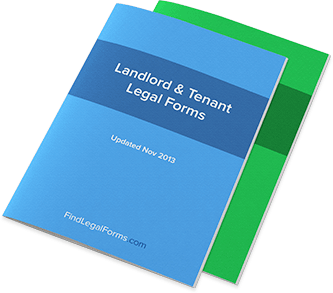 Assignment of Lease by Landlord (Canada) Agreement for a landlord so that he may assign his interest in a lease to the new owner of the rental premises. Assignment of Lease by Tenant with Landlord Consent (Canada) Agreement for tenant so that he may assign his interest in a lease to another. Includes landlord's consent. Notice of Termination of Month-to-Month Lease (Canada) This Notice of Termination of Month-to-Month Lease is designed for use in Canada. This legal form is available for immediate download. Notice to Remedy Breach of Covenants in Lease (Canada) Notice from Landlord to Tenant where Tenant is given a specific time period during which a breach of the lease must be remedied. Condominium Lease Agreement - (Canada) Condominium lease agreement to be used when renting / leasing a condominium apartment. House Lease Agreement (Canada) Residential lease agreement to be used when renting / leasing a house. Move-In / Move-Out Inspection Checklist (Canada) This Premises Move-In / Move-Out Inspection Checklist is designed for use in Canada. This form is available for immediate download. Room Lease Agreement (Canada) This Room Lease Agreement -- Unfurnished is designed for use in Canada. This form is available for immediate download. Roommate Agreement (Canada) This Roommate Agreement is designed for use in Canada. This legal form is available for immediate download. Vacation Property Rental Agreement (Canada) This Vacation Property Rental Agreement is designed for use in Canada. This legal form is available for immediate download. Security Deposit Demand Letter (Canada) This Security Deposit Demand Letter is designed for use in Canada. This form is available for immediate download. Garage Lease Agreement (Canada) This Garage Lease Agreement is designed for use in Canada. This form is available for immediate download. Warehouse Lease Agreement (Canada) This Warehouse Lease Agreement is designed for use in Canada. This legal form is available for immediate download. Surrender Agreement (Canada) Agreement where a tenant will be terminating his/her lease agreement prior to its scheduled termination date. Surrender of Sublease Agreement (Canada) Agreement where a tenant will be terminating his/her sublease agreement prior to its scheduled termination date.